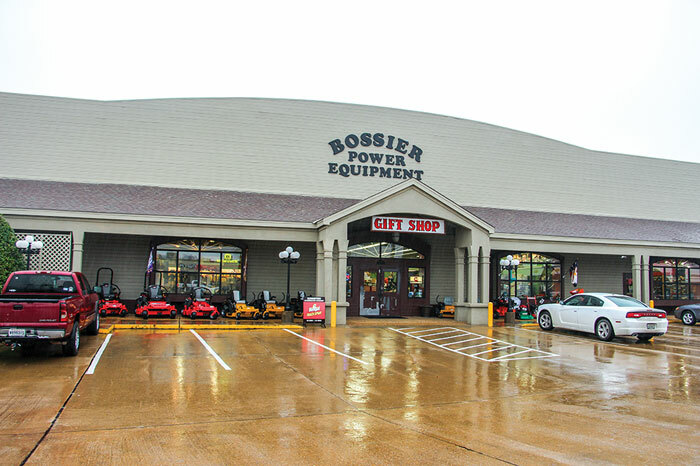 Power Equipment Trade magazine’s October 2018 issue features Bossier City, Louisiana’s Bossier Power Equipment and their recent expansion into a second location. 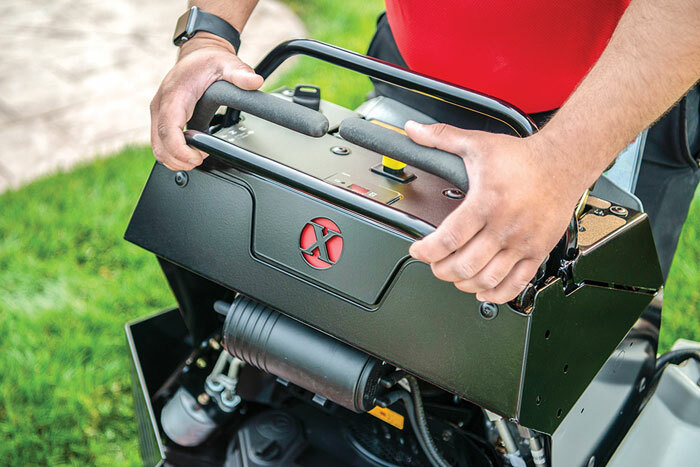 A special section offers a full preview for the upcoming 2018 GIE+EXPO, scheduled for October 17-19 in Louisville, Kentucky. An article features Trim, Co. Meath, Ireland’s Leinster Turf Equipment and their small but successful dealership. The “Five Minutes With” column offers a Q&A with Stihl Inc.’s Vice President Of Operations, Lorraine Wagner. Other articles cover the latest industry news, new products and upcoming events. 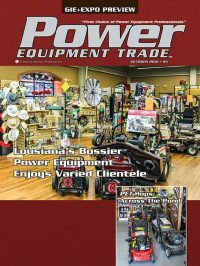 Power Equipment Trade magazine Managing Editor Jessica Johnson travels to Bossier City, Louisiana to visit Bossier Power Equipment. 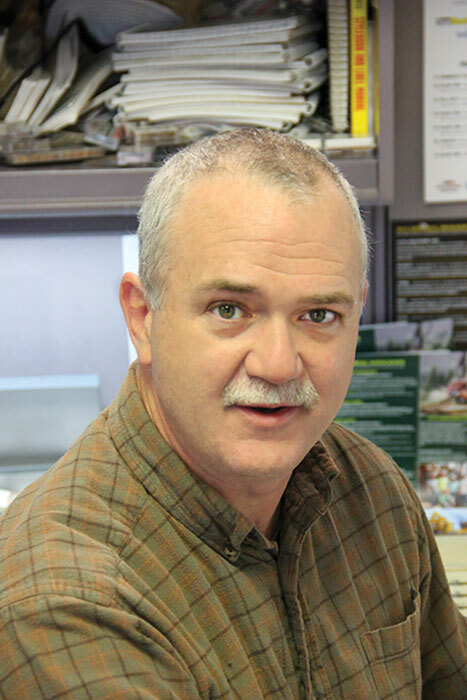 When Charlie Williamson decided he wanted to expand his Bossier Power Equipment reach in the Shreveport/Bossier City areas of Louisiana, he was already running a very successful 9,000 sq. 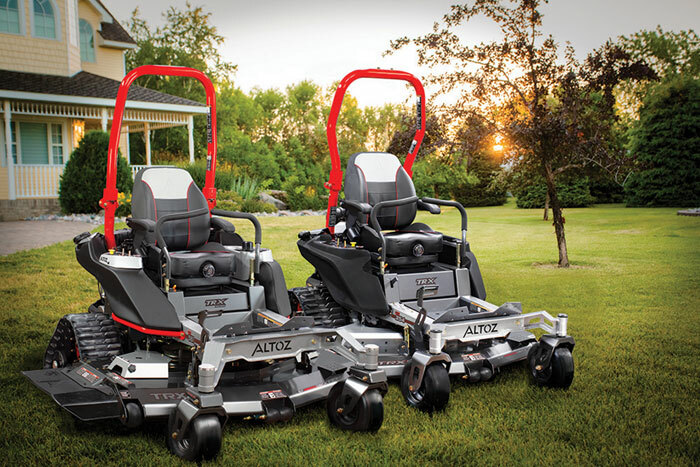 ft. location with a core product line of Ariens/Gravely, Echo, Shindaiwa and Billy Goat. Service in the thick of the season could be as far out as four or five weeks. His customer base was continuing to grow and change, but he stayed comfortable at 70/30 commercial/homeowner. He did some advertising, but not much—he didn’t need to. The Shreveport location served its customers well, but wasn’t diversified beyond some hats and safety glasses. Williams found himself in a very good position, so he decided it was time to expand. 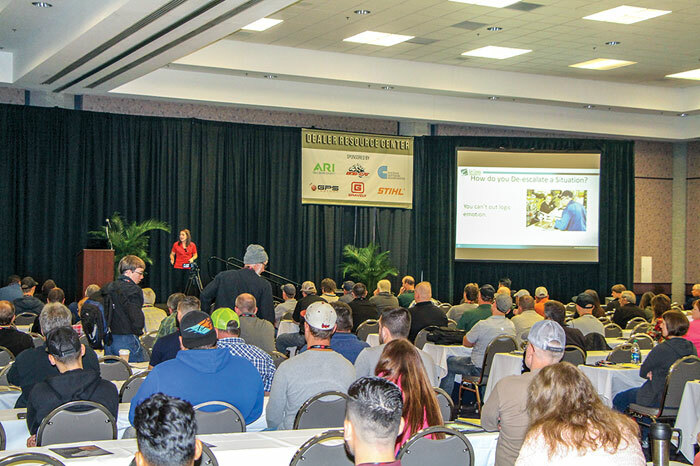 Dealers looking to visit this year’s Green Industry & Equipment Expo (GIE+EXPO) October 17-19 in Louisville, Ky. will enjoy an event that continues to grow, with exhibitors expanding booths and showcasing new products. GIE+EXPO is industry’s biggest event and offers dealers a wide variety of ways to use GIE+EXPO to improve their business or management skills. Opportunities range from technician certification and business management seminars to plenty of networking opportunities with other dealers and OEM and distributor reps. Over 1000 exhibits will feature the latest in outdoor power equipment, lawn and garden products, light construction equipment, off-season options and landscape equipment. Dealers will have the opportunity to explore new products for their 2019 lines. One feature that makes GIE+EXPO truly different among the industry’s trade events is the large demo area where visitors can ride, cut, trim and operate a large variety of equipment. 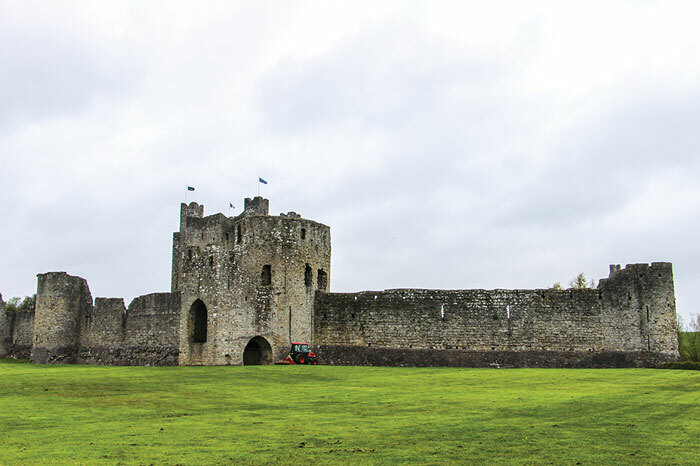 Power Equipment Trade magazine Managing Editor Jessica Johnson has the opportunity to visit Leinster Turf Equipment in Trim, Co. Meath, Ireland. For brothers Derek and William (Willie) Inglis running a power equipment dealership is what they always wanted to do. Mechanics by nature, both are happiest turning wrenches. It’s just in their blood—their father worked for Ireland’s John Deere dealer before moving on to Massey Ferguson, and their other brothers also work for John Deere. “It’s a close industry,” Derek says laughing, “you know because our country is kind of small. We’ve all moved around and all know each other.” The dealership the Inglis brothers own, named Leinster Truf Equipment (LTE), is right off the main road in their town, next door to a grocer. 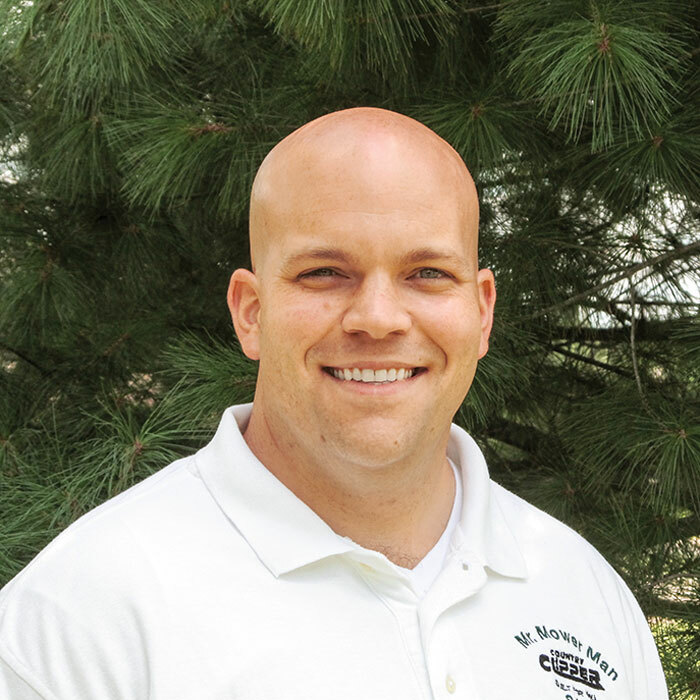 Staffed by between six and seven, with the majority of them in the shop, the Irish dealership operates just as its U.S. counterpart. The following companies are advertising in this issue of Power Equipment Trade and also exhibiting at GIE+EXPO, October 17-19 in Louisville, Kentucky at the Kentucky Exposition Center: Altoz, Bush Hog, Equipment Dealers Association, Fluid Film, Heftee Industries, Honda Power Equipment, Kinetix/Power Distributors, Masport, Outdoor Power Equipment Institute (OPEI), Stihl, Sunbelt Outdoor Products, TD Partnership Program, TriLink Saw Chain, and Walbro. 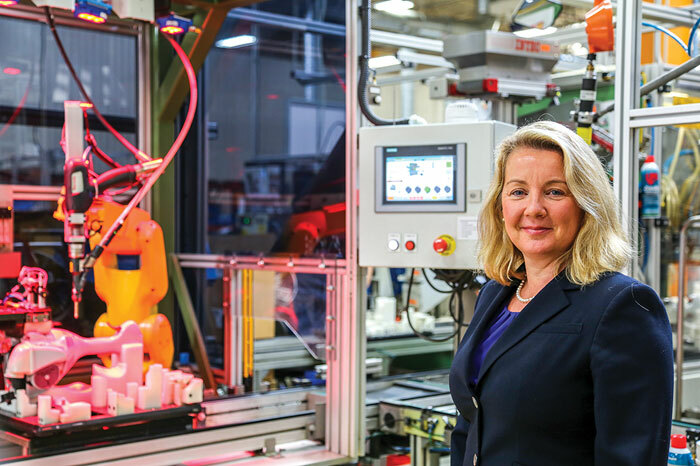 Lorriane Wagner is Stihl Inc.’s first female executive—having just been announced the company’s Vice President of Operations, after serving for ten years as Stihl’s Manufacuring Director. 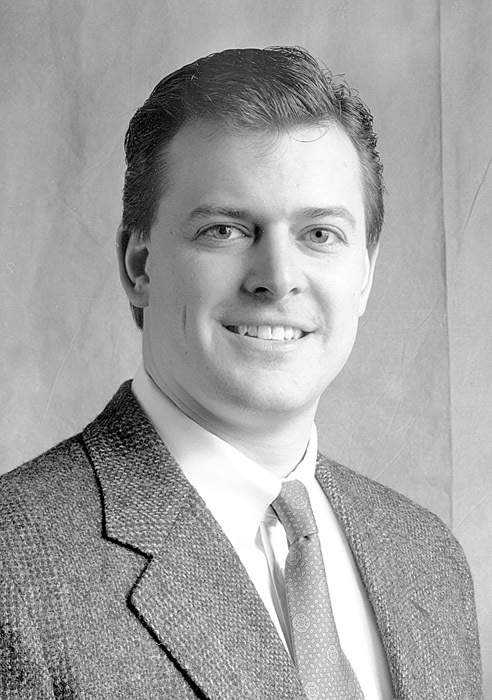 Originally from England, Wagner joined Stihl in 2008. An engineer by trade, she loves anything with an engine, and her passion lies in helping to reduce the U.S. manufacturing skills gap. She starts every day on the factory floor. Power Equipment Trade caught up with the mother of two to chat about the inner workings of the 150 sq. acre Virginia Beach, Va. facility and the 100 or so pieces of equipment it produces each day.